The storms of July resulted in the release of 40 million more gallons of sewage water, the Department of Public Works announced today. That figure is on top of the 45 million gallons reported earlier. The new estimates put the total amount of sewage overflowing into Baltimore waterways during the month at 80.45 million gallons, according to a DPW press release, which is required by state law. • Between July 21-25, 45 million gallons were released, most of it coming from “structured,” or engineered, overflow pipes at lower Falls Road and below the ground in the 400 block of East Preston Street. • On July 27, 3.15 million gallons were dumped at eight unspecified locations. • In late July, 36 million gallons flowed into the Gwynns Falls after a large sewer line near Edmondson Avenue and Hilton Parkway was damaged by the storms. 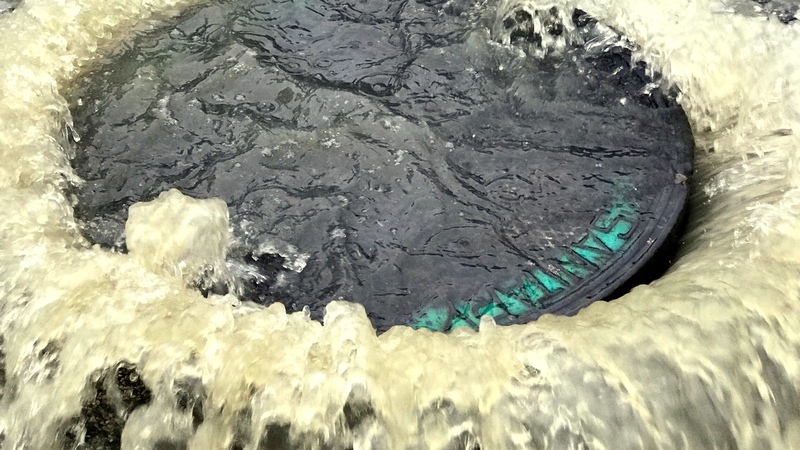 • 1.3 million gallons were dumped into Maiden Choice Run from another storm-damaged sewer line. Bypass pumping has since stopped the sewage flows at Edmondson Avenue and Maiden Choice Run, DPW said today.